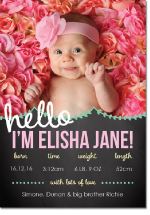 The arrival of a little bundle of joy is a momentous milestone in any parents’ life and, as such, you need the perfect invites to tell your friends and family all about your exciting news. Because we use the highest quality cardstocks and printing techniques, these are the type of invitations that will become cherished mementos for years to come. With hundreds of styles and colours to choose from, Paper Divas can help you design your way to a unique and memorable party. Don’t forget to order your Baby Shower thank you cards at the same time! Need more inspiration? 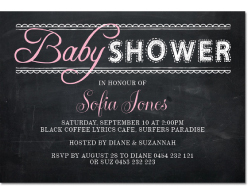 Take a look at our blog post on Shower Invitations. 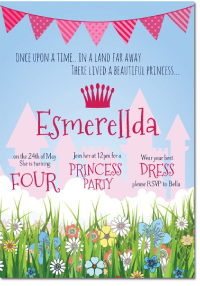 With a highly talented team of in-house graphic designers, we are able to tailor our invites to accommodate any custom colours, styles, or overall designs. This is a service available for all of our products, including christening and birthday invitations. Simply speak with our team about what you’re after specifically and we’ll make sure we do everything we can to bring your baby shower card design to life. Use our easy online ordering system or call us direct on 1300 088 854 to discuss your party needs further. We’re committed to helping you make this a day to remember and we’re always happy to assist with additional information on our fantastic products and customisation services.